Euka II meets Jenny Lawson, The Bloggess and author of Let's Pretend This Never Happened. So it's either tradition or a bad habit on Wordless Wednesdays to just slap a photo here before leaving for work (already late!). We'll cover this experience more on Story Sunday. Because by then I can embellish the memories. 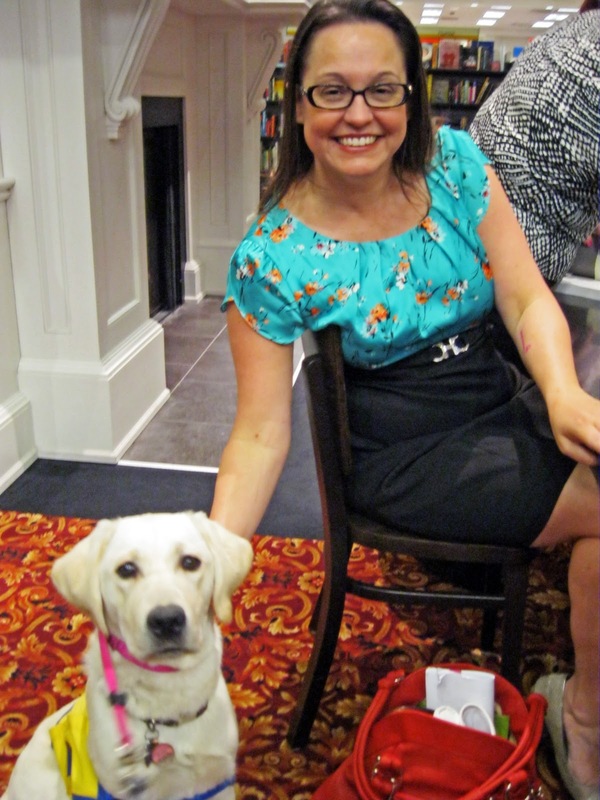 In the meantime, enjoy her website and we'll talk later about how well a six month old puppy might handle herself at a book signing. Hint: the pup is only six months old. A belated Happy WW to you, Sugar. Hope you enjoy the unique style of humour that is The Bloggess. Oh what fun! What a beautiful dog. You say hippopotamus like it's a bad thing. Wordless Wednesday: I don't always . . .